Our kids loved to wrestle with each other when they were little. If things got out of hand, the one who felt overpowered could cry, “Mercy!” It was that child’s signal of surrender. All tickling and roughhousing (at least in theory) was to cease. Mercy calls out to the stronger to acknowledge the weaker one’s plight and show compassion. Mercy is woven throughout the Bible. It’s at the heart of God’s motivation for our salvation. Yet mercy is sometimes treated as a lesser virtue. Mistaken for mere sentimentality or emotionalism, mercy is seen by some as weakness. But God’s Word challenges us to put mercy in its rightful place. Mercy is worthy of our deepest respect. It’s the social code by which believers are called to live. As followers of Jesus, we are encouraged to live a life of words and deeds governed by mercy: “Speak and act as those who are going to be judged by the law that gives freedom, because judgment without mercy will be shown to anyone who has not been merciful. Mercy triumphs over judgment” (James 2:12-13 NIV). “‘Which of these three do you think was a neighbor to the man who fell into the hands of robbers?’ The expert in the law replied, ‘The one who had mercy on him.’ Jesus told him, ‘Go and do likewise’” (Luke 10:36-37 NIV). Mercy also characterizes the way God treats me. Thus, it should describe the way I treat others – pure and simple. It doesn’t get any clearer than that. Lord, slow me down today. Show me what causes my heart to be hard at times... resistant to giving or receiving mercy. I pray for a new vision of mercy as the true heart of the Savior. Make me alert to opportunities to show mercy to one of your children who is hurting. God wants to communicate with you, and Hearing the Voice of God, takes you through the Gospel of John to show you how to hear God speaking powerfully and personally through His Word. Don’t miss all you can gain from this powerful 4-month devotional book. And don’t miss your opportunity to give below to give more people a reason for hope in Jesus. For more from Moments of Hope, visit us at MomentsofHope.org. Hearing from God through His Word brings you life-changing wisdom and confidence. 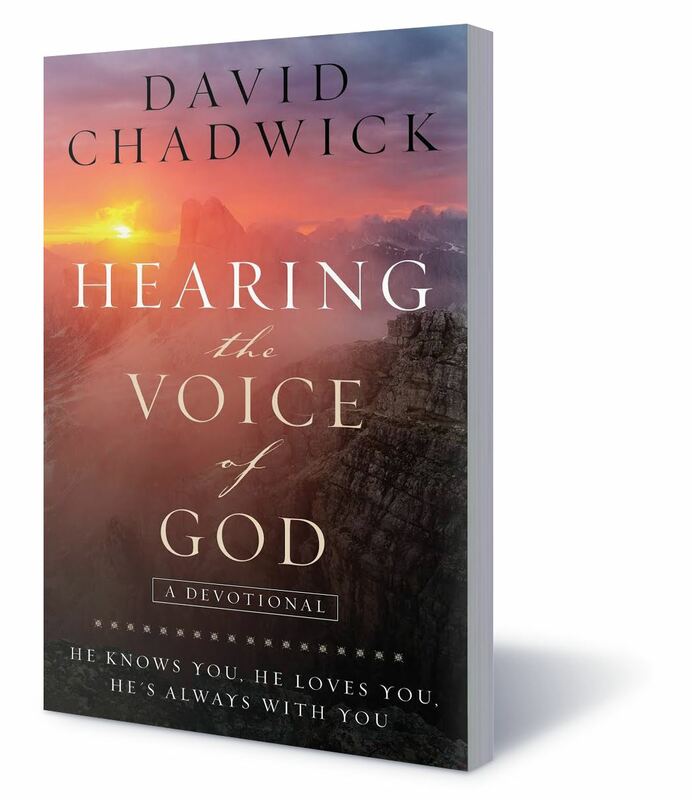 That’s why we want to thank you for your gift today by sending you a copy of Hearing the Voice of God by Pastor David Chadwick. It’ll show you: how to hear the voice of God through His Word, the incredible depths of God’s love for you, how to develop a deeper and stronger relationship with God, and insights and inspiration for your life with Christ. God wants to communicate with you, and Hearing the Voice of God, takes you through the Gospel of John to show you how to hear God speaking powerfully and personally through His Word. Don’t miss all you can gain from this powerful 4-month devotional book. And don’t miss your opportunity to give below to give more people a reason for hope in Jesus. Thank you! Moments of Hope Episode Reminder Get a sneak-peek into each new show plus daily featured articles, delivered straight to your inbox! Moments of Hope Devotional A voice of reason and daily encouragement. Giving People NEW perspective as to why there's reason for hope through Jesus. For Christians who want to reach their world for Jesus, Moments of Hope with Pastor David Chadwick is a multi-channel media ministry that’s influencing change in the secular culture for God. As a recognized voice that’s trusted in community, Moments of Hope is able to speak into lives, giving people new perspective as to why there’s reason for hope in Jesus. A native of North Carolina, Dr. David Chadwick graduated from UNC Chapel Hill where he played basketball and was a member of a NCAA Final Four Basketball Team. In addition to his undergraduate degree in Communications, David has a graduate degree in counseling from the University of Florida, plus a Master of Divinity and a Doctor of Ministry degree from Columbia Theological Seminary. David has been Pastor of the Forest Hill Church in Charlotte, North Carolina since 1980, where worship attendance has grown from 180 to over 6,000 with campuses located in North and South Carolina. In addition, he hosts a local weekly faith and values radio program, “The David Chadwick Show,” on WBT AM/FM in Charlotte, NC as well as the nationally syndicated "Moments of Hope with David Chadwick" a daily Christian teaching show airing nationwide. David has also authored several books including, My Father My Friend, It's How You Play the Game: The 12 Leadership Principles of Dean Smith, and From Superficial to Significant. Additionally, David has written two daily devotionals - Moments of Hope and Hearing the Voice of God. David and his wife, Marilynn, have three children, Bethany, David Banner, Michael, Son-in law, Ryan, Daughter-in law Jessi, Daughter-in-law Cassi and five grandchildren.